As the mystery of MH370 approaches it’s 2nd anniversary, a video has come up of debris suspected by some to be from the missing MH370, found off the Gulf of Thailand. I noticed this when fellow “crypto-analyst” Jeff Wise put a photo on his blog. Jeff himself thought it unlikely for it to have been from MH370, and played the possibility for it to have come from another crash. 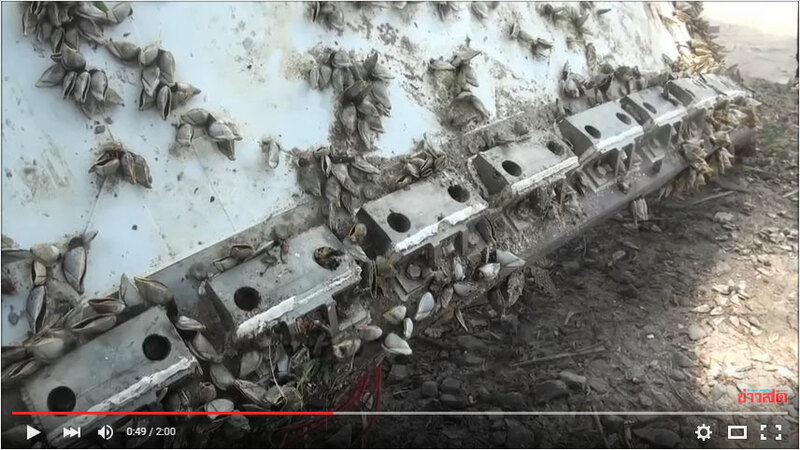 However, as a discussion forms over Twitter, I was given the link to the video showing the debris found on the coast. Fortunately, it had some details that would otherwise not be seen in the photo above. The debris found cannot be an aircraft engine cowling, it’s too thick. 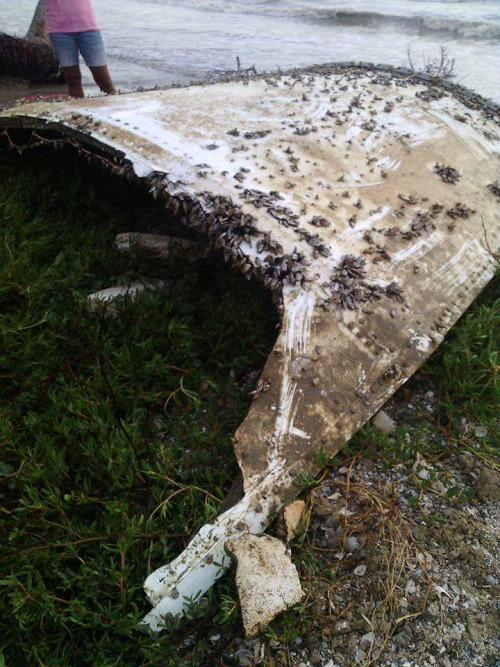 The debris found cannot be from an aircraft skin panel that is not a door or panel. The reason for this is the lack of attached rib structure that’s normally found on airplanes. The debris found cannot be from MH370’s cargo doors. It’s the wrong colour. The debris found appears to be a carbon fibre material with few steel skeletons, unlikely to be an airplane part. There appears to be no rivets on the panel but unflush fasteners instead. These potrusions, make it unlikely to be an airplane part/panel/door/cowling. I’d love to be wrong on this for the sake of the missing and their loved ones, but my conclusion is that this panel found fits more of a part of a ship’s superstructure than it is an airplane. Unfortunately, as we approach MH370’s 2nd anniversary, something I call “Sasquatch Syndrome” takes over, that is the desire to make things fit into a story, makes common sense hard to be adhered. On the other hand, there will be those who, despite the evidence, will refuse to believe that this is not a part of MH370. And of course, there are those who just muddy the waters into endless obfuscation, disinformation, propaganda, etc. AFTER EDIT: Please read the next article for better information as recent information points out the debris panel is likely to have come from a rocket and NOT a ship and (still) NOT MH370.